An audio-movie about the magic of cinema. 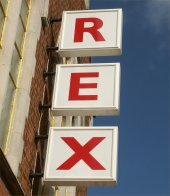 On a bitter winter’s night in a deserted small town in Dorset, our narrator stumbles upon The Rex, an old-fashioned cinema. Lovely! Very nice piece, most enjoyable. Thanks Rob! That’s very kind of you.